A grand welcome cocktail followed by a press conference will be held on June 19th to celebrate the new flight from Orange County. The Puerto Vallarta-Riviera Nayarit Joint Promotion Committee met on April 29th with a group of executives from Southwest Airlines headed by Brad Hawkins in order to finalize the details on the new direct flight from Orange County, California, to the Vallarta-Nayarit International Airport. The first plane will arrive June 7th, however, the inaugural cocktail and the press conference will be held on the 19th of the month. There is also a special surprise in store for attendees, with which they will showcase the quality of the airline’s planes. 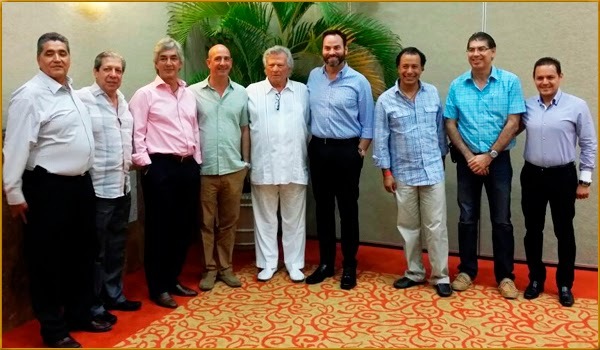 The meeting took place with members of the Riviera Nayarit Convention and Visitors Bureau (CVB) as well as the Puerto Vallarta Tourism Trust (Fidetur); both offices had been insisting on the need for these flights for a couple of years; today they have become a reality. Besides the flight to Orange County, there is another flight confirmed from Houston, Texas, which will begin on October 15, 2015. A direct flight from Denver to start in November of this year is also in negotiations and has every possibility of being signed. These new direct flights from the United States are an indication of the increased tourism recovery in the region and the faith these important airlines have in the destinations.